So I know you’re asking, ‘what is it that makes this coffee so special?’ It’s the herbs. We’ve infused our coffee with herbs that will give you more of what you’re expecting from your cup to help you speed up your body’s fat-burning processes and help you control your appetite to reduce the amount of calories you’re eating. 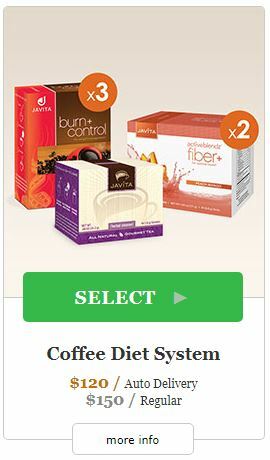 One cup of Burn+Control Coffee costs less and offers more than a cup of coffee from your corner coffee shop or fast food restaurant. Enjoyed hot or cold, Burn+Control Coffee is all natural, Kosher-certified, and the great taste and on-the-go convenience will have you reaching for another cup! According to the Mayo Clinic, Metabolism is the process by which your body converts what you eat and drink into energy. During this complex biochemical process, calories in food and beverages are combined with oxygen to release the energy your body needs to function. Even when you’re at rest, your body needs energy for all its “hidden” functions, such as breathing, circulating blood, adjusting hormone levels, and growing and repairing cells. Yerba mate is a central nervous system stimulant containing caffeine, but it also contains a number of other nutrients, including antioxidants, amino acids, polyphenols, vitamins and minerals. The chemical compounds and nutrients in yerba mate tea affect your metabolism to make your body use carbohydrates more efficiently. This means you’ll get more energy from the food you eat. You’ll also burn more of the calories your body has stored in fat cells as fuel when you drink coffee with yerba mate regularly. Regular yerba mate consumption also helps keep lactic acid from building up in your muscles so you can decrease post workout soreness and cut your recovery time.Yerba mate has stimulant qualities to help you feel full sooner after you begin eating, and it slows your digestion so that your stomach stays full longer. Combining yerba mate with a healthy diet and regular exercise can help boost your metabolism to burn more calories, and it can help you eat less by curbing your appetite slightly. Controlling portion size may be the single most effective thing you can do to promote lasting weight loss, a new study shows. Researchers found overweight people who spent the most efforts in controlling the portion size of what they ate were more likely to lose weight and keep it off. Although increasing planned exercise also help people shed pounds, researchers found portion control efforts seem to offer the biggest payoff. Losing weight can be tricky and sometimes confusing, especially if you get caught up in the latest fad, magic pill or Hollywood diet. We’re firm believers in keeping things simple and staying with what works—like adding more fiber to your diet. Most American diets lack fiber, consuming less than a third of the 25 g (women) to 38 g (men) recommended by organizations like the Institute of Medicine. There’s plenty of science behind adding fiber to your diet. A recent study found that people who added more of it to their diets—without changing anything else—lost almost as much weight as people who followed the heart-healthy, low-fat eating plan recommended by the American Heart Association. The study added to a growing body of evidence that people who eat more fiber tend to have a healthier body weight. Fiber has no magical fat-burning properties. It helps you feel full and satisfied without adding a lot of extra calories to your diet. The great news is, that feeling of fullness doesn’t just send a message to your brain to stop eating, it also slows the absorption of sugars, decreasing your body’s likelihood of storing undigested fats. If you really want to see what your fiber is capable of doing, make sure you’re drinking at least eight glasses of water a day to move the fiber through your digestive system and control your thirst, which can often be confused with hunger. You may have heard of them. You have no doubt eaten them. And if you want to lower your high cholesterol, you definitely need more of them. We’re talking about plant sterols. And it’s not just your vegetarians and health professionals that are singing the praises of plant sterols. ActiveBlendz Fiber+ delivers .75 g of plant sterols per serving, consumed twice daily it provides 1.5 g of plant sterols to aid your daily wellness, heart-healthy endeavors. They’re not exactly the sexiest-sounding health nutrients out there, but getting friendlier with them now can influence your health today and for decades to come. On a molecular level, sterols and stanols look a lot like cholesterol. So when they travel through your digestive tract, they get in the way. They can prevent real cholesterol from being absorbed into your bloodstream. Instead of clogging up your arteries, the cholesterol just goes out with the waste. Research has shown a direct line between plant sterols and lowering LDL, or “bad,” cholesterol. Experts have been studying the effects of food fortified with plant sterols for decades. One important study of people with high cholesterol found that less than an ounce of stanol-fortified margarine a day could lower “bad” LDL cholesterol by 14%. The results were published in The New England Journal of Medicine. A more recent study from the University of California Davis Medical Center looked at the effects of sterol-fortified orange juice. Of 72 adults, half received regular orange juice and half the fortified OJ. After just two weeks, the people who drank the stanol-fortified juice had a 12.4% drop in their LDL cholesterol levels. The results were published in the journal Arteriosclerosis, Thrombosis, and Vascular Biology. ActiveBlendz Fiber+ is sure to become your new BFF, and go-to secret weapon for getting fit and healthy this year. Get a jump start on your New Year’s resolution to lose weight today and place your order for ActiveBlendz Fiber+ now! “Three years ago I had a gastric sleeve. One of the side effects (years later) is with the digestive system. Miralax and Metamucil were not helping anymore, and the pain associated with it was horrible. I suffered a lot of bloating. I started drinking Burn+Control Coffee and LeanGreen Tea a year ago, and it helped me get off 14 medications. My high blood pressure is down. My fatty liver enzymes normal. My high blood pressure normal. And it had been a battle. “Since I started drinking my ActiveBlendz Fiber with water and Burn+Control weight loss Coffee, I have now not only lost a significant amount of inches around my waist (hello belly fat was the biggest problem for me after having 3 kids in 2 1/2 years) but when people see me now they compliment me on how much younger I look as well. My skin has never looked this clear and My energy level and my focus has never been greater. Cardiovascular disease means disease of the heart and circulatory system and is the primary cause of death in industrialized countries. Coronary heart disease is the most common and serious form of cardiovascular disease and refers to diseases of the heart muscle and supporting blood vessels. According to the Code of Federal Regulations, high blood total- and low density lipoprotein (LDL)- cholesterol levels are major modifiable risk factors in the development of coronary heart disease, with specific plant products able to modify this risk (1). In fact, it is estimated that a reduction of 1 mmol/l (38 mg/dl) of LDL cholesterol is associated with a 25% reduction in risk of developing a cardiovascular complication (2). As high cholesterol levels are often associated with overweight, losing weight is one way to lower this risk. Another is through proven dietary interventions, such as increasing fiber and plant sterol consumption. Both of these methods are accomplished through the daily use of ActiveBlendz Fiber+ drink mix. By combining plant sterols with the soluble fiber in ActiveBlendz Fiber+, Javita has created a uniquely powerful product. These plant-derived compounds work together to reduce cholesterol levels: first, through the competitive inhibition of cholesterol by plant sterols, and second, by flushing the cholesterol out of the body using the fiber gel matrix. This one-two punch will help to lower the risk of coronary heart disease, leading to healthier heart and circulatory systems. In addition to heart health, Fiber+ also plays a significant role in weight management. Through the inclusion of insoluble fibers, Fiber+ can decrease appetite by increasing glucagon-like peptide-1. Simultaneously, it bulks in the digestive system, creating weight and an overall feeling of fullness. Soluble fiber also plays a role in increasing satiety through its viscosity when combined with water in the body. By decreasing appetite and increasing a feeling of fullness, Fiber+ can help with calorie restriction during the day, effectively becoming part of a healthy weight management program. This white paper will review the available scientific evidence to support the formulation and use of Fiber+ as both a heart health and weight management product. It will provide an overview of how the ingredients work both in vitro as well as in the body. For those wishing to pursue information further, a highly detailed review of the studies is also provided in this paper along with available citations for further reading. This paper is meant to assist in the education of consumers to determine the best heart health and weight management product for their needs. Give Your Workout an Edge With Burn+Control! The benefits of working out in the morning are widely known. By starting your day with a sweat session, you can rev up your metabolism and increase the number of calories you burn throughout the day. The rush of endorphins you feel after a workout can also boost your energy and set your mood for the rest of the day. The biggest advantage of a morning exercise ritual, however, may also be the fitness world’s best-kept secret. If you begin the morning with a cup of caffeinated coffee followed by exercise, you can maximize your exercise performance and boost your long-term fitness gains. It helps you exercise longer. When you drink a cup of coffee, the caffeine increases the number of fatty acids circulating in your blood stream. If adequately fueled, your muscles can absorb and burn fat in order to fuel your activity. If not, they must use your body’s limited storage of carbohydrates. A cup of coffee allows your body more fatty acids to burn, saving the carbohydrates for later on in the workout. This enables you to exercise longer, which explains why caffeine, a legal stimulant under the International Olympic Committee, is the most popular drug in sports. In a study of caffeine consumption and exercise among fit young men, researchers found that people who drank caffeine before a workout felt more able to invest effort. This is because caffeine helps muscles to contract by encouraging the sarcoplasmic reticulum, a network of membranes that lie within the muscle cells, to release calcium ions. More calcium within the muscles reduces the percentage of maximum exertion that given exercise requires. This is also psychologically beneficial to the athlete, whose perceived level of exertion reduces after drinking a cup of coffee. “They would put more work into the training session, and when the session was finished, in the presence of the caffeinated drink, they were more psychologically ready to go again,” Michael Duncan, a senior lecturer in sports science at the University of Exeter in England and leader of the study, told the New York Times. It mobilizes fat from fat tissues. Caffeine can improve physical performance by 11 to 12 percent, on average. Caffeine increases our blood levels of the hormone epinephrine, aka adrenaline. The epinephrine travels through the blood to the fat tissues and sends signals to break down the fats and release them as free fatty acids into the blood, where they can then be used as fuel. More fuel = a stronger, longer workout. This reaction especially enhances endurance exercise. It delays perceived muscle pain. The effect of caffeine on strength training is less well-documented, although recent studies have shown that ingesting caffeine prior to weight training increases the amount of weight lifted, as well as number of reps. This is possibly due to caffeine’s ability to blunt pain responses so that your muscles don’t get fatigued as quickly during resistance training. It improves energy and mood. By blocking the neurotransmitter adenosine, caffeine ups the firing of neurons and the release of neurotransmitters, including dopamine and norepinephrine. This affects myriad brain functions: memory, mood, vigilance, energy levels, reaction times, and even general cognitive function. And we all know how hard it is to pump ourselves up for a good workout when we’re in a bad mood, right? This one doesn’t directly affect your workout, but it goes hand in hand with the results of your workout. Ingesting caffeine before a workout can actually increase the number of calories you burn from the workout. A study published in the International Journal of Sport Nutrition and Exercise Metabolism found that trained athletes who took in caffeine pre-exercise burned about 15 percent more calories for three hours post-exercise, compared to those who took a placebo. Caffeine also blunts your appetite, which could also aid in weight loss. Finally, coffee improves circulation within microvessels, which, unlike large arteries, regulate tissue blood flow and blood pressure. A different study measured post-occlusive reactive hyperemia, or increased blood flow, within the microvessels of the finger. Hyperemia is a marker of good circulation. After drinking caffeinated coffee, the blood of the study’s participants had significantly enhanced hyperemia compared to those who drank decaffeinated coffee. Improved circulation means more blood is being delivered to the muscles during exercise, which boosts performance and promotes cell growth and organ function. You don’t have to be an Olympic athlete to reap the benefits of caffeinated coffee. Anyone, regardless of their level of fitness or experience, can see increased endurance and performance during exercise by incorporating caffeine into their fitness routine. Simply replace your pre-workout smoothie with a cup of caffeinated coffee, head to the gym, and be prepared to revolutionize your exercise. © 2016 Javita International Ltd. All rights reserved.